33 Shades of Green: Today. 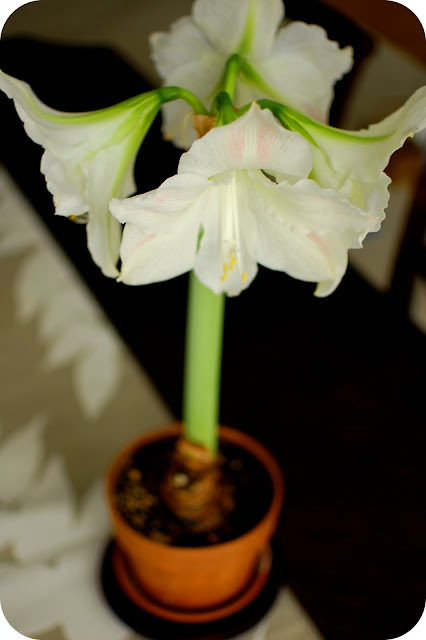 . .
Today I am working from home and enjoying my beautiful Amaryllis, blooming for the second time! Shoot me your email and I'll tell you my typewriter art plan. You're really crafty..you can tell me if you think it will work!